Are You FED UP with Your ‘Dirty Carpet‘? Is your carpet looking DIRTY, FLAT, AND WORN? The last time you had it cleaned, did the carpets come out MATTED and REALLY WET? Did it take a couple of days to DRY, and all the SPOTS CAME BACK? Was ALL the carpet in your home “CLEANED” in about an (1) hour? Did you get the RESULTS you were looking for OR was the whole experience a WASTE of your valuable time and money? At Las Cruces Carpet Cleaning, we take pride in our REPUTATION, EXPERIENCE, EDUCATION, SYSTEMS, and GUARANTEE. Our staff has over 36 years of combined experience. 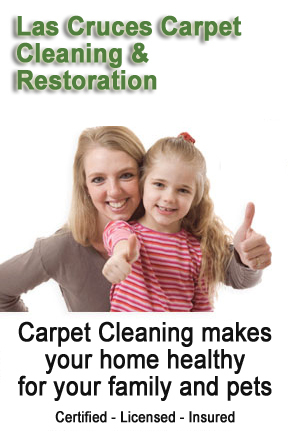 Las Cruces Carpet Cleaning is also an IICRC certified firm. 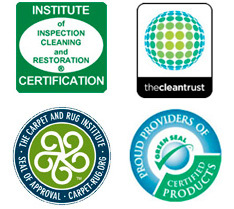 We hold multiple Master and Journeymen Cleaning Technician certifications, which are the highest available in the carpet cleaning industry. Las Cruces Carpet Cleaning has long held the standard for carpet cleaning, Upholstery Cleaning, Tile and Grout Cleaning, Oriental Rug Cleaning, Pet Odor Removal and Water Damage Restoration Services. We stand behind every job; or your money back! Listen to what these ‘LIFETIME’ clients have to say! Examine the facts. Companies that offer these generally have the worst REPUTATION. Employee training (EDUCATION) is little to none and their EXPERIENCE working with fine textiles is limited due to high turnover rates. They have no SYSTEMS in place to GUARANTEE predictable results and can’t back up any of their claims with REAL testimonials from HAPPY clients. Instead, clients say they send KIDS on COMMISSION to work in your home. They rely on HIGH PRESSURE sales tactics to make up price differences and often don’t quote the cost for their service until after they are done. Most are very unreliable. They don’t show up, don’t call and stand you up in your hour of need. If you’re still willing to take this risk, at least protect yourself. Look for consumer reviews on websites like Angie’s List. 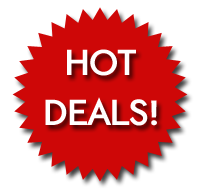 Also, be sure to ask for written GUARANTEES and always pay with a credit card. At least this way you can dispute the charge when things don’t work out. Hiring professional carpet cleaners in Las Cruces can be tricky because most people only ask ONE question: “How Much Do You Charge?” Unfortunately, the answer to this question won’t say much about a company’s skills and expertise. Instead, ask the following questions and find the most qualified service. Can you remove Red Stains from my carpet? Can you remove these embarrassing Pet Stains and Pet Odors from my carpet? Will my spots come back? Will my carpets be soaking wet when you finish? Do you Dry my carpet? Do you move furniture? If so, what’s included? Do you Guarantee your work? If so, are you willing to return my money if I am not happy with your work? TRUST and PEACE OF MIND! Carpet cleaning is an investment… NOT something you should gamble. So our promise to you is simple: “If you don’t like our work, you don’t owe us a penny.” This is how we’ve done business for nearly 20 years. When You Hire Us You Have NO RISK! Give us a call and schedule an appointment. Of course you’re under NO OBLIGATION at any time. When we arrive we’ll tell you exactly what we can do to clean your carpet so it’s HEALTHY, FLUFFY & LOOKS BRAND-NEW! What that means to you is a healthier clean with INCREDIBLE results. Are Embarrassing Pet Urine Odors The Problem? Eliminating pet odors can be challenging. They don’t just go away with a little soap and water. In fact, getting urine puddles wet only makes the odor worse. Surprisingly, that’s exactly how most companies approach this problem. Someone comes in and cleans your carpet with “a little deodorizer in the cleaning solutions” and then leaves you with horrible smelling carpet and an empty wallet. Eliminating pet odors is a process. It begins by finding this invisible problem. Specially engineered UV or “Black” lights are brought to your home and used to scan for urine puddles (like they do on the TV show CSI) that glow when exposed to black light. It’s a slow and tedious process, so it is often skipped or rushed, making it the number one reason why companies fail at eliminating pet odors. The Correct Way… to fix pet odors permanently is to locate ALL the puppy puddles in the affected area and treat them with special solutions that permanently kill the odor. Don’t think that you just spray this on and leave, the odor is all the way into the pad and even on the sub-floor, so the solutions are literally poured from a bucket until the odor is gone. Remember, if we can’t eliminate your pet odor then you don’t owe us a dime. It’s that simple. No Teeny Tiny print, No GIMMICKS just clean beautiful smelling carpet that will pass any mother-in-law test. Got Spots That Just Won’t Go Away? Tired of spots that just keep coming back? Just spray a little over the counter spot cleaner and watch it disappear! WRONG! Wait a couple of weeks and see those same spots come right back (bigger and darker). So you decide to bring in a “professional“. Someone comes to your home and “hits” that spot with their best cleaners. That took care of it… right? Or did those spots come back with a vengeance? Sounds familiar… This problem is more common than you think. Removing stubborn spots and stains from carpet is an art and a science. This is where our experience and education in the industry makes us the most qualified company to permanently remove unsightly spots from your carpet. We do this by testing every spot before we begin. We then match the correct cleaning solutions to the type of soil we’re removing. Voila… amazing results every time. As promised… if we can’t remove your spots permanently then you don’t owe us a dime! That’s right… No non-­­­sense cleaning that’s guaranteed to pass the toughest drill sergeant’s white glove test. Carpet Cleaning Las Cruces - Sunland Park, New Mexico | Santa Teresa, New Mexico| Anthony, New Mexico | Chaparral, New Mexico | Chamberino | Berino	| Vado | Mesquite | La Mesa | Mesilla Park, New Mexico | Las Cruces, New Mexico | Sonoma Ranch Carpet Cleaning | Mesilla Park, New Mexico | White Sands Missile Range, New Mexico | Fairacres | Dona Ana, New Mexico | Organ | Orogrande, New Mexico | Radium Springs | Rincon | Hatch, New Mexico | Salem New | Timberon & Surrounding Areas. VIEW LAS CRUCES SERVICE AREAS HERE.